Welcome to 7 Tech and IT Interview Questions. If you work in information technology or are trying to find the right talent, you already know the tech landscape is vast and the skills needed for Project Managers are very different from those needed by Systems Analysts. In this series we present seven interview questions specific to one position or functional area. In this post: Network Engineer. A Network Engineer is responsible for the establishment and maintenance of network performance. A Network Engineer leverages technology to build a company’s computer and information network. Network Engineers leverage analytical and technical skills to develop and maintain local area networks (LANs), wide area networks (WANs), intranets and extranets. This role requires a wide breadth of skills and have a major impact on the security and success of modern businesses. What is your strongest area: network support or design? Describe a specific network building experience. How big was the network? Number of nodes/servers? Describe your server experience. Did you build servers? If so, what type of servers have you built? Describe your experience with routers, switches, hubs, and bridges. How much experience and what types? Explain your network security experience and challenges you’ve overcome in this area. What are the greatest threats to network security? Have you worked with any Network Management Tools? Please describe how an in what context. Do you have any mobile device and/or VOIP experience? 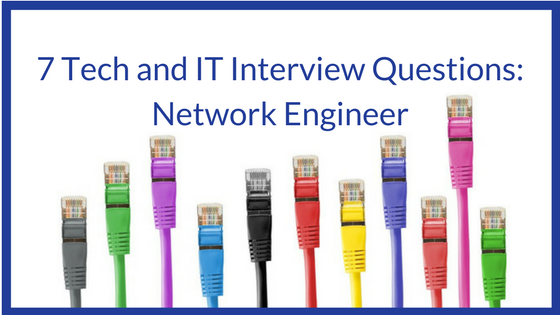 These questions are a starting point for assessing the skills and experience required of a Network Engineer. Augment this list with questions specific to your company’s needs to find the right fit for your team. Are you a Network Engineer ready to take on a new roll? Do you need to add a Network Administrator to your team? Connect with Advanced Resources’ Technology Division. Learn more here.